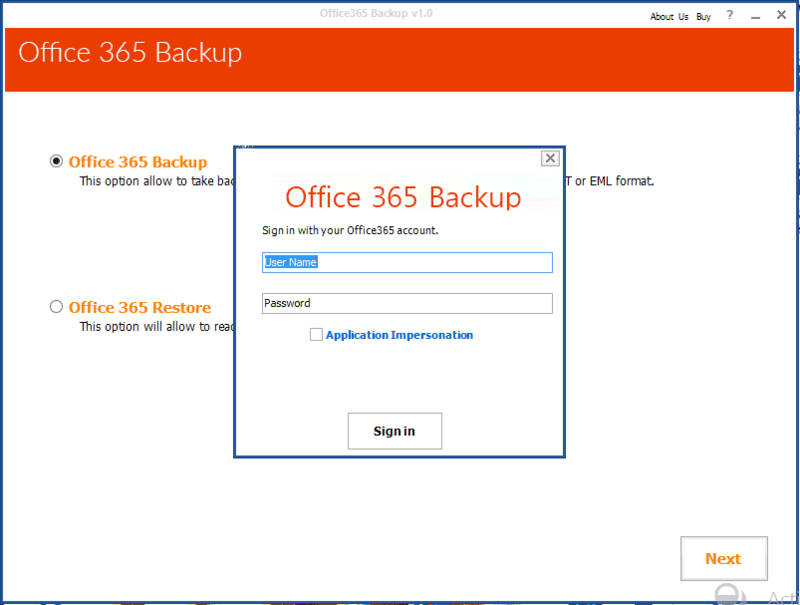 Launch Office 365 email backup Software and the first Window will appear after installation of the tool. 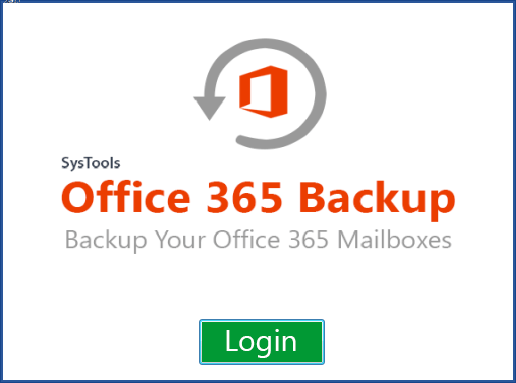 Here provide user ID and password of office 365 account. You can also check Application Impersonation facility if you have admin account to export multiple employee's user accounts. Then Click Sign in button. A complete folder hierarchy will be displayed by the software. 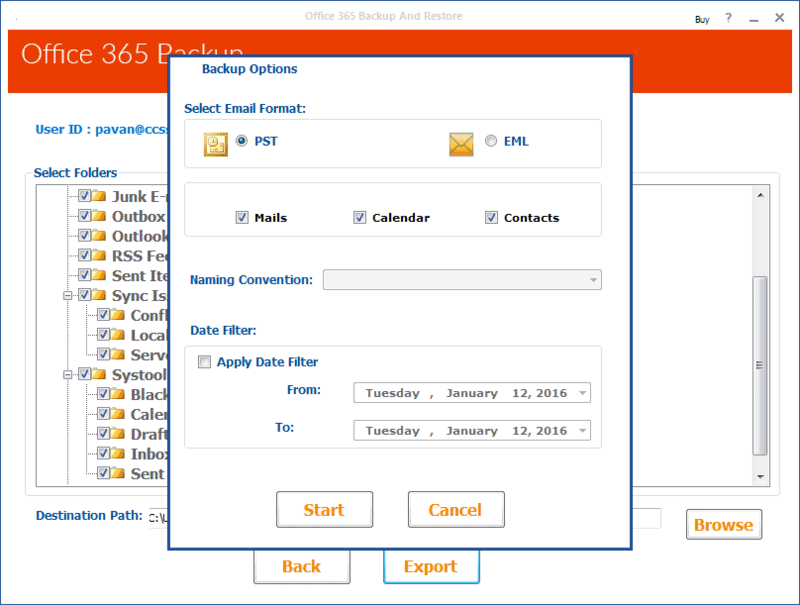 Here you have Option to Export Selective folder or complete hierarchy of folder. 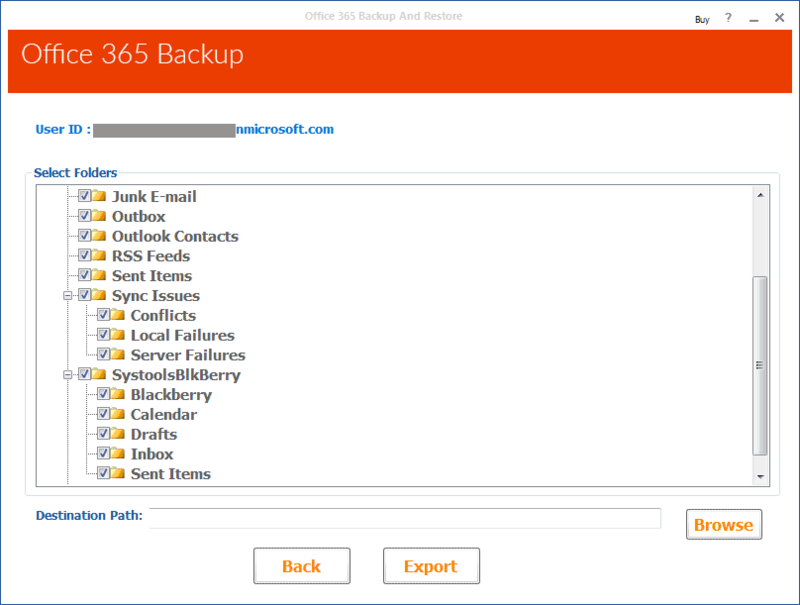 Thereafter specify destination location to save backup on your system and click Export button. 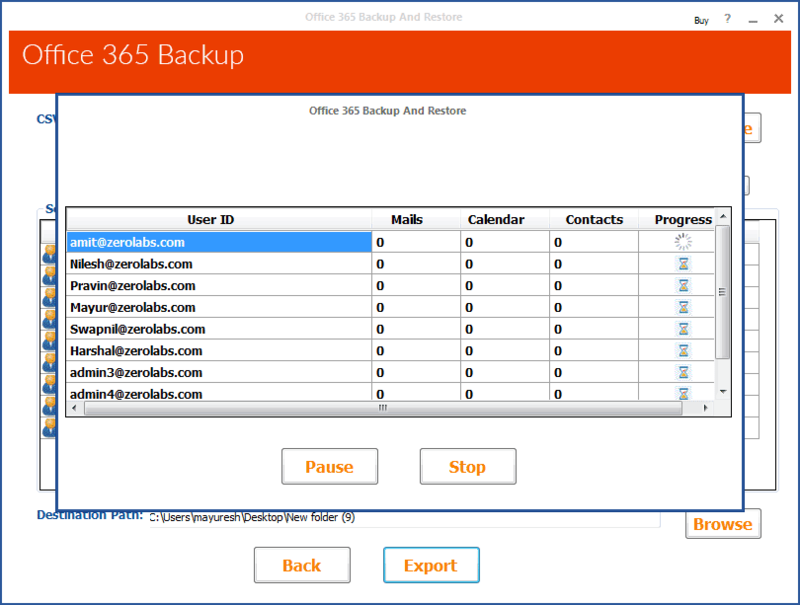 As soon as you click Export button the backup process will begin and software will show progress status for backup process for each accounts.